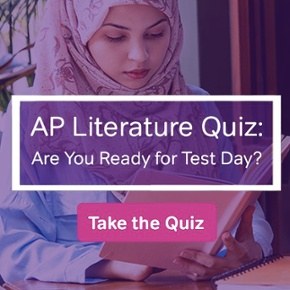 The PSAT tests lots of smaller topics under the umbrella of three larger “tests” (don’t worry, you take them at the same time—you probably just think of them as sections): the Reading Test, the Writing and Language Test, and the Math Test. There are two things to consider when examining the Reading Test: what kinds of passages the test includes, and which skills it measures. As for the first category, you can expect to see at least one literature passage—this can come from anywhere in the world, and from any time period. You’ll also see a passage, or a passage pair, from a U.S. founding document (like the Constitution) or a text from the Great Global Conversation (like a speech by a world leader). Two science passages will appear, but they’ll test your reading ability, rather than your science knowledge. Finally, there’ll be a social science text. In terms of the types of questions you’ll see, be prepared to show your ability to find evidence in the passage and show how authors use it. The test will also ask you to define vocabulary words based on their contexts. Finally, some of the passages will ask you to analyze data and charts from science or social science passages. For the Writing and Language Test, you only have one goal: find the mistakes in the sentences you’re reading and select the answer that fixes them. Basically, the test looks at your command of grammar and usage, but it also measures those same categories from the Reading Test: command of evidence, words in context, and analysis of additional materials. The Math Test examines three big categories of questions: Heart of Algebra, Problem Solving and Data Analysis, and Passport to Advanced Math (all of which will be mixed together, and none of which will be labeled). Let’s look at what each of those areas covers. In the Heart of Algebra questions, expect to see a linear expression or an equation with one variable. You will also be asked to work with linear inequalities with one variable. You’ll build a linear function to show the relationship between two quantities. You’ll do similar work then with a variety of other equations, some of which may have two variables or include two linear variables. 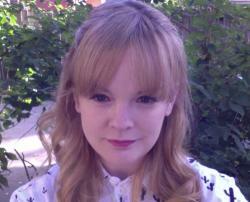 Problem Solving and Data Analysis will include an entirely different set of topics. These include: ratios, rates, proportions, percentages, measurements, units, unit conversions, scatterplots, relationships between two variables linear versus exponential growth, two-way tables, making inferences from data and statistics (this might include mean, media, mode, range, and/or standard deviation), and evaluating data collection methods. Whew! Finally, Passport to Advanced Math will have questions about quadratic/exponential functions, equivalent expressions with rational exponents and radicals, showing algebraic equivalencies, quadratic equations, working with polynomial expressions, one-variable equations with radicals, systems of equations, simple rational expressions, parts of nonlinear expressions, the relationship between zeros and factors of polynomials, nonlinear relationships, function notation, and isolating a quantity of interest in an equation. In short, you might be asking: what subject areas does the PSAT NOT measure? Don’t worry, though! By working before test day to prepare to get your highest score, you’re already doing great things for your future. 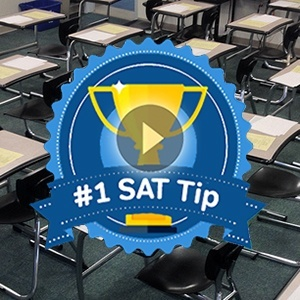 Keep up with regular practice, and you’ll master every subject area covered by the PSAT. 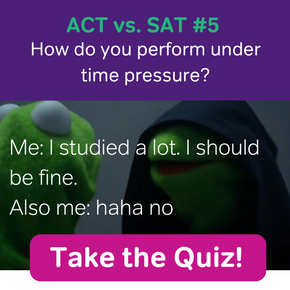 The PSAT is a mini-SAT, just a little shorter and slightly easier, so you can always use SAT practice tests and materials to help you prepare for it, in addition to PSAT practice tests! 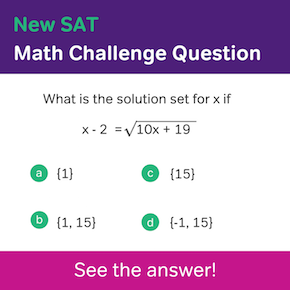 How Will Scoring Change on the New SAT?